Halloween might be over, but that doesn’t mean we’re out of spooky stories. Have you ever stumbled upon a horrible landing page that you just knew wouldn’t get your money? As marketers, we’ve all seen them. We even feel bad sometimes because we can tell what the landing page is trying to accomplish, but we can clearly see it’s not working. When I started AutoGrow, before we had a sales funnel in place, I used to hustle for client leads at networking events. 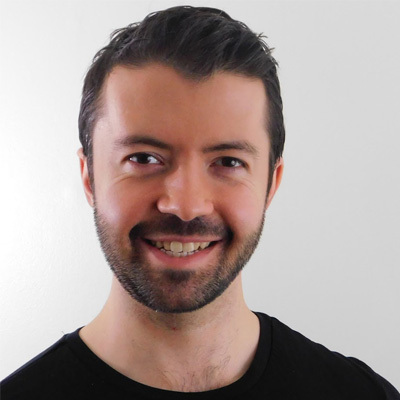 At one event, I did a live presentation on good landing pages versus bad landing pages. The bad landing page I shared had graffiti in the background, the text was unreadable and the page itself looked like it was designed in 1992. But that’s not the type of landing page I’m talking about when I say “horrible” here. I’m talking about landing pages that have a clear purpose and marketing goal, but are just horrible at getting their point across for conversions’ sake. 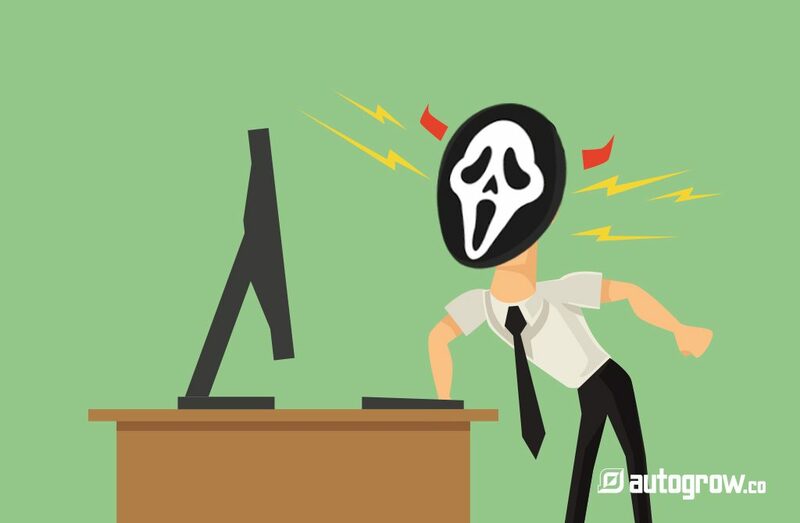 So today, I’m sharing 11 of these “horrible” examples, and the “spooky” conversion lessons we can learn from them. I’ll also be sharing ways you can fix these landing page blunders if you’re mimicking them on your own pages. Chase is one of the best-known banks out there. Despite this, even they weren’t exempt from landing page conversion horror. Check it out. As you can see, this landing page is offering way too much. It’s overwhelming how much is being shown at once. First, there’s Chase’s credit card offer with the “learn more” button. Yet over to the right, there’s the login screen for current customers. Note that the login button is the same style and color which dilutes the effectiveness of the other call-to-action buttons. Below those two areas, a customer can browse savings accounts, checking accounts, credit card availability, home lending and car loans. The credit cards landing page is just as overwhelming as the first landing page. Also, the CTAs make no sense. That’s because if you’re on this page, you’re probably trying to figure out if you’re pre-qualified for a credit card. But here, Chase is offering you all sorts of credit cards, like small business or travel cards. It’s too much. The Conversion Lesson: Less is more when it comes to CTAs. Don’t confuse the customer. If they’re clicking a page because they want to know if they’re prequalified for a credit card, keep that page focused on given them information related to that. After they know they’re prequalified, then offer all the credit cards you like. How to Fix It: Chase should create a revised version of its key landing pages and A/B test each in the funnel’s flow against one another. The tested variations should address the usability issue and the issue of multiple offers with similar CTAs on a single page. 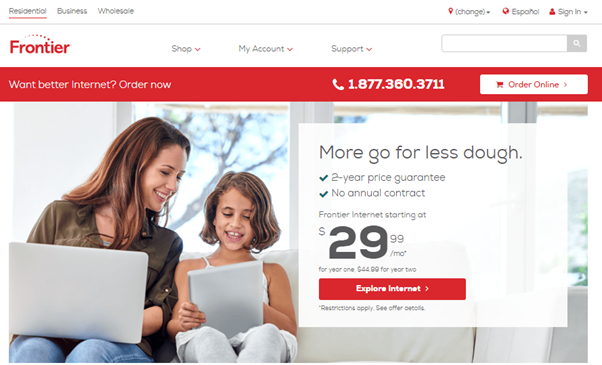 Frontier Communications provides television, phone and high-speed Internet services. Customers can choose from any one of the services above or bundle them together. Simple enough, right? Except Frontier’s landing page made everything far more complicated than it needed to be. Notice the past tense. 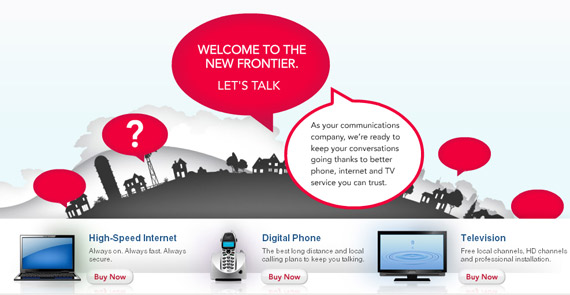 Frontier has since changed their landing page, but this is what it used to look like. The word bubble idea may be an eye-catching design element, but who knows what those bubbles signify? The copy in the main bubble tells us next to nothing (a good example of being clever rather than being clear). Why are the little ones all empty except for one with a question mark? What does the question mark mean? Is it a link to a help page? If you can move past the distracting word bubbles, you can browse Frontier’s packages below. The “buy now” copy on those buttons is out of place as far as the customer’s needs. If you were thinking of signing up with Frontier, you’re going to want to review packages, check pricing, etc. before buying. Being redirected straight to the checkout page is probably not what you want. The Conversion Lesson: Phrasing a CTA as “buy now” instead of “learn more” for a phone/internet service might turn some potential customers away because the wording is too demanding for the product. How to Fix It: Frontier doesn’t need any advice on how to fix their landing page because they took it upon themselves. Here’s the corrected version. This one makes more sense. There’s information about the packages right off the bat. The confusing word bubbles are gone. Instead, you get a human element with a picture of a Mom and daughter using the service. Also, instead of saying “buy now” like it used to, the CTA now says “Explore,” which is far more inviting to a potential customer who’s still on the fence. MultiTouch is an automated marketing software company, which means you’d expect them to know a thing or two about landing pages. 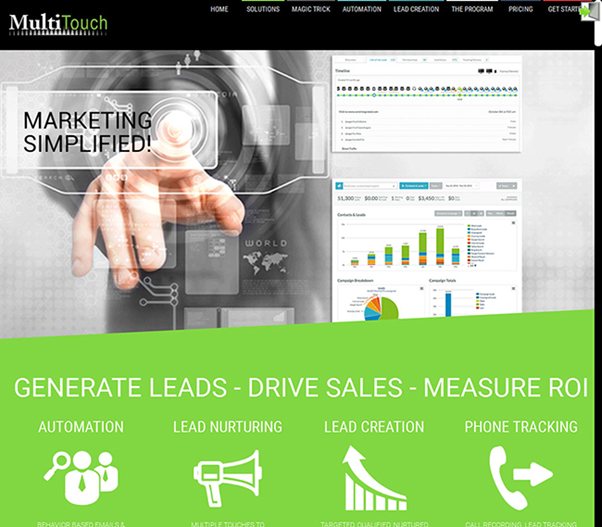 Their services include lead creation, automation, phone tracking and lead nurturing. Unfortunately, their main landing page could use some nurturing, too. Whew, there’s a lot to go over here. First, the graphic they use is generic. A man in a suit touching a screen doesn’t mean much. Not to mention, I’m pretty sure I’ve seen this stock photo used on ten-thousand other sites at this point. The headline, “marketing simplified!” is bland and doesn’t explain why MultiTouch is the best choice for your marketing needs. There are graphs and data on the right of the image, but they’re hard to read. Without knowing what that those images mean, it’s confusing. The bottom half of the page in green, where MultiTouch explains its services is okay, but it should be more prominently featured and presented as a headline. The Conversion Lesson: Don’t bury your features under tired graphics and meaningless headlines. People want to know what your service can do for them, so make that the main feature of your landing page. How to Fix It: In this case, the best thing to do is eliminate the graphic with the man touching the screen. Remove the data images too if they aren’t going to complement the copy or be explained. Come up with a better headline, one that explains what the company does and why it’s the best choice. Make the features the star of the show, arranging them in a way where customers can read a few sentences about each feature and then click to learn more. A customer relationship management (CRM) company, Zendesk’s products include call center software, live chat software, customer service and more. They could use some assistance with their landing page, though. At first glance this doesn’t look bad, but customers are being redirected there from a Google AdWords ad. This is a big no-no because you don’t want to redirect users from an ad to a homepage. If people are clicking on your ad, they’re clicking with a clear intention. If your landing page doesn’t clearly align with that intention (e.g. you give them a homepage with too many options), you will lose them. Consider, for example, the links in the navigation, footer, and the CTA to join their newsletter. There’s far too many options to choose from. The background color of the page is nice, and the graphic does hint at what Zendesk offers, but sadly, like MultiTouch above, Zendesk also suffers from generic headline syndrome. The bolded headline at the top doesn’t specify exactly what their business does, and this will be the first thing people see (and wonder about). The last thing you want is for your customers to wonder about what you actually do. Make the product clear so the decision to learn more is easy. The Conversion Lesson: Make your value proposition super clear on your landing pages. How to Fix It: Create a dedicated landing page for your service or product with a clear call to action when you are running ads. Also, Zendesk would benefit from redoing its headline. They can take their subheadline, shorten it, and use that instead. A customer should have a clear-cut idea of what a company has to offer as soon as they land on the page. 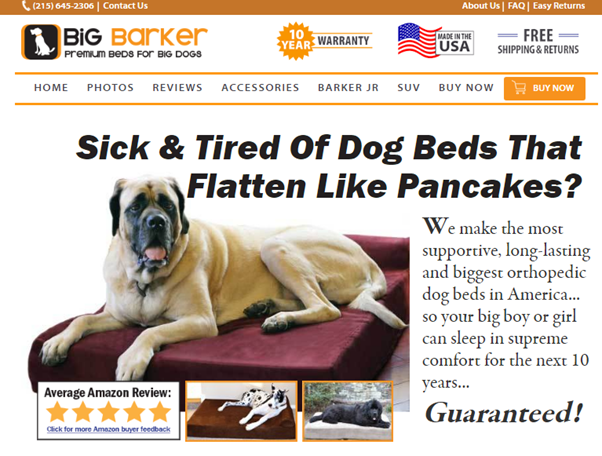 Big Barker is dog bed retailer that specializes in large dog bedding options. It’s a unique concept, but their landing page is woefully under-(over? )-selling Big Barker’s products. This is just a weird layout. It’s formatted like a newspaper article, yet the text reads like a late-night infomercial. Also, this is only a portion of the landing page. It runs on and on and on, withholding it’s CTAs until too far down the page. The gigantic font size is part of what’s contributing to this lengthy landing page, but the fact that Big Barker crammed in more than 40 reviews doesn’t help either. It looks impressive visually, but is anyone going to read through all of them? No. Is the user required to scroll through them to reach the bottom? Yes. The Conversion Lesson: You don’t want your font so small that customers can’t read it. Trust that your customers will be okay digesting your copy if it’s a normal-sized font (12-16). Also, while having some social proof can help conversions, it’s not necessary to cram dozens of reviews on the page. You want to have enough to be convincing, but not overwhelming. How to Fix It: The headline isn’t bad, but the copy could use some work. First, cut most of it. By creating a features page, Big Barker could take that copy and use it elsewhere on the site. The landing page should be clear, concise and brief. Also, shrink the font. That will reduce the amount of scrolling a customer has to do. Last, while reviews are good, you don’t need to post every review customers leave on the landing page. That makes everything too cluttered. What’s matters more confounding is that Big Barker already has a reviews page on its website, yet it only has one video review. I would suggest putting most of the reviews on the reviews page in an attempt to de-clutter. SAP Software Solutions produces analytics, data and cloud platforms, human resources, digital supply chains and customer commerce solutions across a variety of industries. They’re a major brand, yet their landing page leaves something to be desired. Yes, that’s the landing page. The first part of it’s not bad. The headline explains what SAP does to an extent (it could be stronger, though), and the accompanying image is a good fit. The rest of the page is a mess, though. With all those “CTA” (sort of) links, it looks spammy. This would make a much better resources page than a landing page. The Conversion Lesson: Don’t bombard your customers with links like this. It’s overwhelming, leaks leads right off the page, and looks like spam. 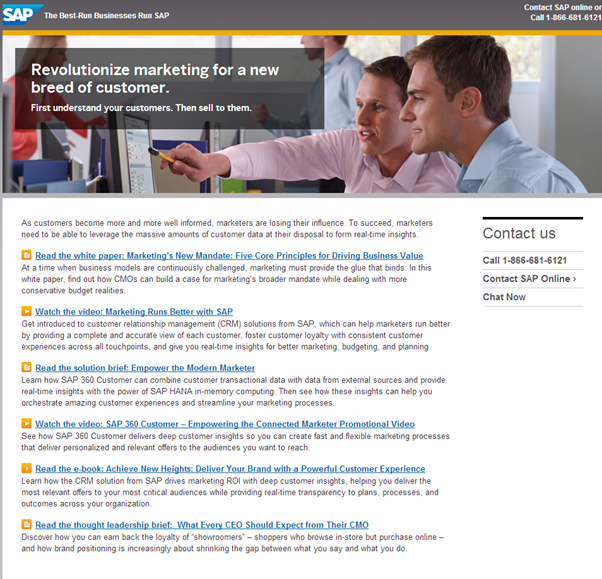 How to Fix It: SAP might want to start from scratch with their landing page and use what they have as a resources page instead. By using a tool like Leadpages, they can make a killer landing page that will actually look like one. Once called ShipCarsNow (in fact, that’s still their URL), Loup moves all sorts of vehicles from Point A to Point B. They even transfer rail cars. 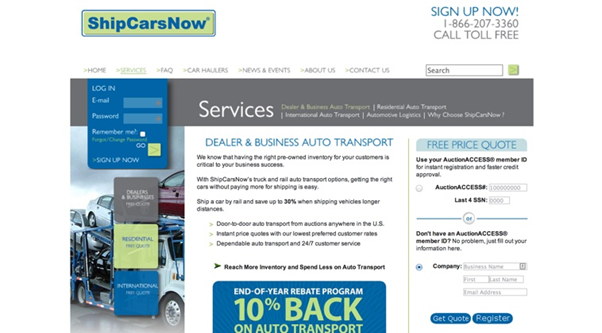 Their old landing page, back when they were called ShipCarsNow, is better left behind. If you look at it, there’s not one, not two, not three, but seven CTAs scattered across the page. These include the free price quote and 10%-back end-of-year rebate program offer. Someone who clicks on their site isn’t going to know where to begin, and rightfully so. The Conversion Lesson: In most instances, you only need a single CTA on your landing page. Seven of them is overkill and will turn customers away. How to Fix It: When ShipCarsNow rebranded to Loup, they did away with their old landing page. This one is so much easier to navigate. The headline is great because it’s clear (noticing a pattern yet?) and tells you what to expect, as does the subheadline. The train image ties in with what Loup does. You can now click the “learn more” to start digging into Loup’s services. Based in Australia, Advanced Hair Studio is a clinic that specializes in thinning hair and hair loss. They offer therapies for men and women to reverse hair loss. That’s not quite clear when browsing their jam-packed landing page, though. Like many of the other horrible landing pages on this list, Advanced Hair Studio doesn’t know when to stop. Each of the hair therapies is outlined on their homepage rather than featured under the “men’s therapies” or “women’s therapies” pages. There’s also a coupon button for $350 off that distracts and doesn’t go anywhere. Maybe they didn’t mean for that button to go anywhere, but the way it’s designed makes it look like a button you can click for a discount. The Conversion Lesson: Don’t mislead customers with coupon deals that don’t go anywhere. If your coupon deal looks like a button, make sure it’s clickable and functions like a button. How to Fix It: The biggest change Advanced Hair Studio should start with is that CTA button. 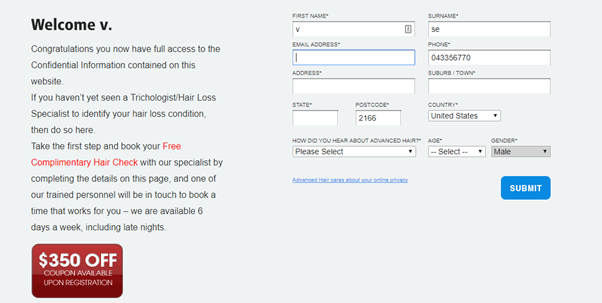 However, they should also take the hair therapies on the landing page and put them under the hair therapies pages. That should significantly shorten the length of the landing page. The Content Folk are an Australian content marketing agency. You would think they’d be CTA masters and include one on their landing page, but they don’t. Yes, there’s a pink “say hi” button, but that hardly qualifies as a CTA. It’s more of a vague contact form. While the pink and purple gradient is appealing and the headline is good, the wheel image is a bit confusing. It’s a striking picture, but customers need a concrete indication of what they’re getting for their money. This page is a bit too artsy if it wants to grow results. The Conversion Lesson: Never forget the importance of a good, clear CTA! How to Fix It: First thing’s first: The Content Folk need a CTA more specific than ‘Say Hi’. They should include something under the headline that invites the customer to explore their options or perhaps book a call. The rest is just aesthetics, but A/B testing could come in handy here. The Content Folk could A/B test which images and CTAs convert better. 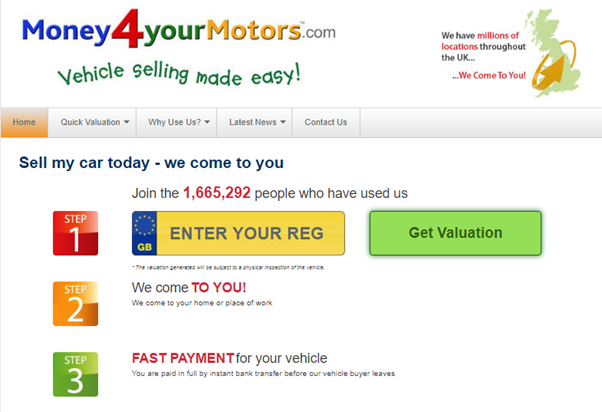 The concept of Money4YourMotors.com is in the name: if you want to sell your car in the UK, they’ll give you cash for it. Their landing page doesn’t do much to bolster their reputation. Colors litter the page. The copy also sounds unnatural; it could be more conversational, flow better. Okay, so this isn’t the worst landing page example, right? Here’s a glimpse of the full page. It’s not the most cluttered example on this list, but it’s not great, either. Videos make a good addition to a landing page, but there’s no CTA at the end this video to click on. You always want to give your customer a direct call to action after they’ve finished watching a video. The section about how to sell your car is useful information, but it shouldn’t be on the landing page. Instead, the copy should be about why someone should use Money4YourMotors.com. The Conversion Lesson: If you have a video or other media to add to your landing page, make sure you’re giving potential leads a clear call to action after they’ve watched it. How to Fix It: By making some quick edits to a few elements, Money4YourMotors.com could have a solid landing page. First, remove the colorful registration bubbles and graphics. Keep these elements one color for uniformity. As mentioned, I would also add a CTA to the end of this video to encourage more people to take an action after watching. GDR Group is a social media marketing agency based in Australia. Like other marketing groups on this list, they made a crucial misstep with their landing page. Can you figure out what it is? The landing page copy conveys little value to potential leads. That’s not to say the electric colors and random grouping of objects won’t catch your attention. They will. But what will GDR Group do with a customer’s attention from there? Not much, it seems because they aren’t directing it nor are they anticipating the needs of would-be clients. If you clicked this page, you’d take a moment to enjoy the graphics, but be stuck as to where to go from there. If you keep scrolling, GDR explains what social media marketing is. Then, further down the page, they explain their services. Finally, at the bottom, there’s a contact form. But once again, it’s another landing page lacking a clear CTA. The Conversion Lesson: Colors and graphics are fun, but if you’re using them to catch a customer’s attention, you need to give them something to pay attention to, such as product information, an informative video or a CTA. How to Fix It: A landing page builder tool like Unbounce may come in handy here. GDR doesn’t have to change the graphics per se, but they do need to add value to their landing page with a clear CTA. I would also delete the explainer text on social media marketing and push up the section about what GDR does. They can save (and revise) the social media marketing information for their email copy to educate potential clients. Want to avoid the above landing page gaffes? Get my 33-Point Perfect Landing Page Checklist. A good landing page should guide and speak to potential leads. By including empathetic copy, clear and consistent CTAs, videos and relevant images, you’re encouraging them to sign up or buy your products and services. It’s easy to make blunders with your landing pages. 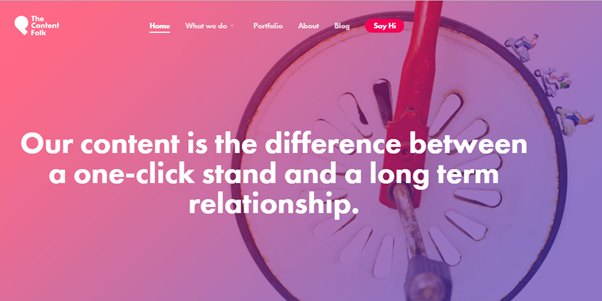 The point of these 11 landing page examples wasn’t to shame these companies, but to point out what can make them better. CTAs are crucial for any good landing page. Don’t forget to add them! That said, don’t use too many CTAs or push multiple offers when the goal of your landing page is to have the user take one specific action. Otherwise they will confuse people.They won’t know where or what to click. The best content should be above the fold. If you put the good stuff below that, customers might not see it. Long landing pages that are long for the sake of being long rather than out of customer need (i.e. addressing specific objection) will not help you convert. Figure out what’s making your landing page too long and hone the message. Shrink your font size, cut back on images, and cut irrelevant copy. Does your landing page contain any of the mistakes in these 11 examples above? If so, which ones, and which changes do you plan on making? Let me know in the comments. 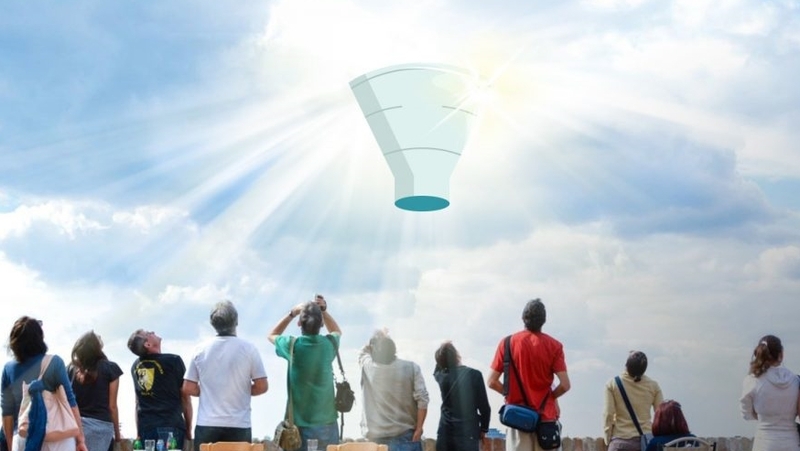 What Is A Survey Funnel?